Annyeonghaseyo! ;-D I happened to read somewhere (I'm backtracking now, I'll share asap!) 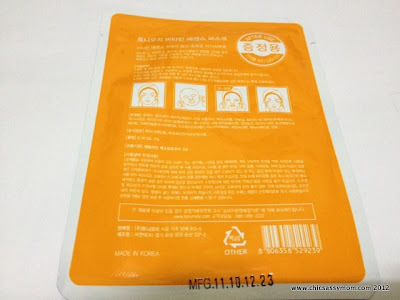 that we can actually indulge on Korean Mask Sheets as much as we want, depending on our skin type. 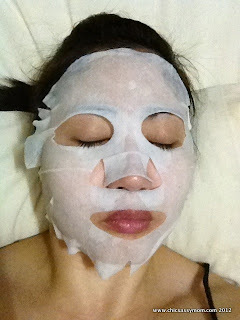 Although, it's recommended to at least use a mask twice a week to see visible results. Personally, I maintain a good balance on my usage of gentle-for-everyday-care type of mask vs. the intensive treatment masks. 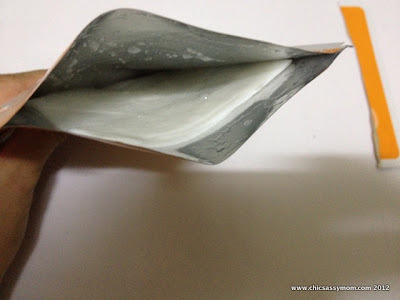 My mainstay mask which I use every other day is the Innisfree Jeju Volcanic Pore Clay Mask, while in between, if I have more "me" time, I try out various masks from other brands. But I make sure to use the SkinFood's Acorn Jelly Mask once a week. I find this intensive and more targeted effect in sebum-control. I'll do a review next. 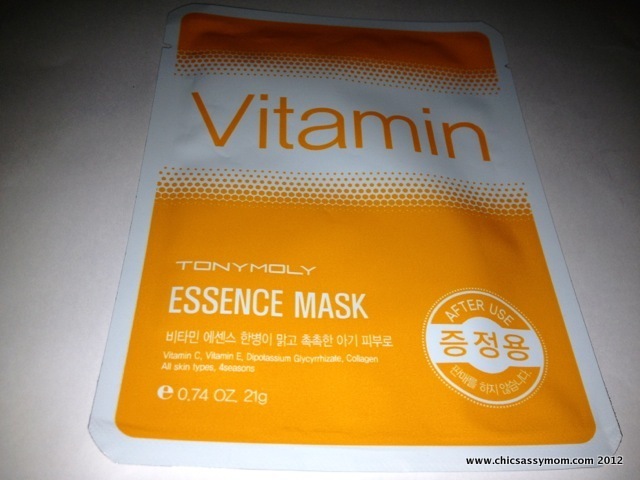 Anyhow, for today's mask, I used the Tony Moly Vitamin Essence Mask Sheet. I got this a while back from Seoul, it's one of the freebie that my friend got from shopping at Myeongdong. No English Labels. Fret not, I'm a certified mask aficionado. The mask doesn't speak of a targeted benefit, so it's more of a mainstream mask for general skin care needs. 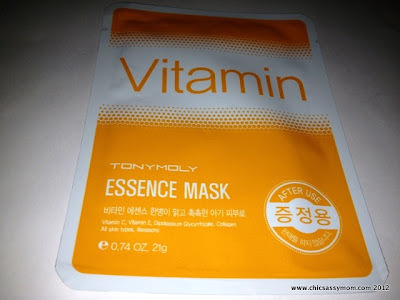 But from all the listed ingredients, it's a packet ful of goodies for nourishing (from Vitamin C &E), brightening (Licorice Root Extract), and moisturizing (for Collagen... addicted to Collagen much! ;-D). It smells citrusy. It's not really soaking wet with essence. There's barely anything left from the packet, unlike from the others. Masked. This one is not a full mask per se, it has slits near the forehead, cheeks, and chins, so you can adjust and fit it snuggly accordingly. I like that. It also touches on under my eyes, that's a plus, so it works as a makeshift eye masks too. Except that the sheet between my upper lip and nose is a bit bigger or wider, it's covering my nostrils, I had to fold it. I'm using the Innisfree pore clay mask and I love it! 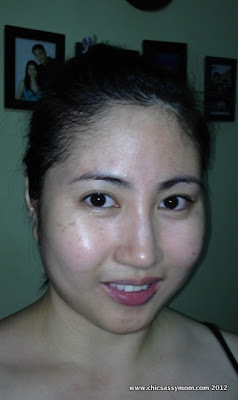 Which cream or by Innisfree or Skinfood would you recommend for oily skin? Hey! Found you through the Alexa Drop Hop! I need to try that mask. I quit using anything but water when i got rosacea. hopping by from the alexa hop. That look lovely an soothing. Your newest hopping guest. I love masks! They make your skin feel so smooth afterwards. Visiting from the Alexa Drop Hop! Hope you come visit my blog too! I wonder if my kids would let me stay still long enough to try a mask like that!